TOKYO (CNS) — A strong subsea earthquake triggered a tsunami alert along Japan’s northeastern Pacific coast at dawn Nov. 22, sending residents running for high ground and unleashing a brief nuclear drama in an unwelcome reminder of the disaster in the same area five years ago. 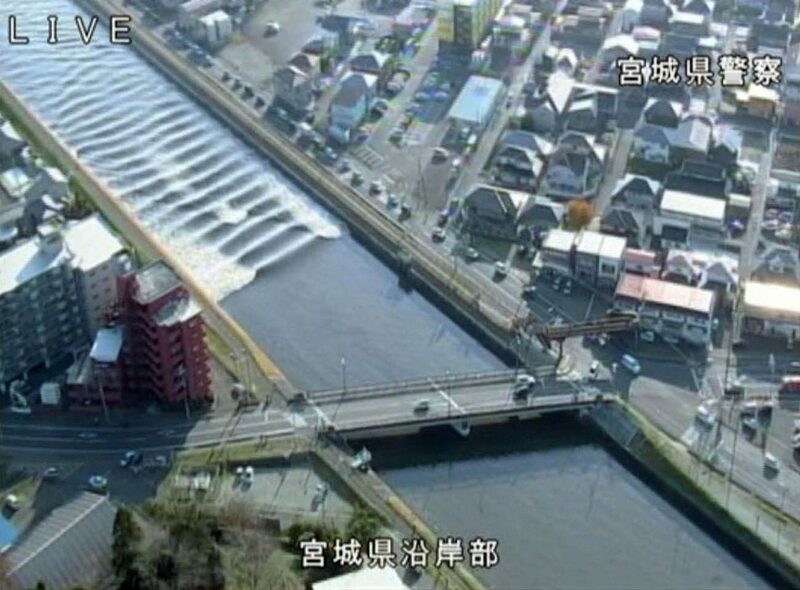 The tsunami was small, showing up as a surge of about 4 1/2 feet in the Port of Sendai and less elsewhere. But it sparked evacuations in communities maimed by the March 2011 tsunami, which left nearly 19,000 people dead or missing. Within an hour or two, calm returned. Ishinomaki was hit hard in 2011, with about half of the city’s urban area flooded or destroyed. Its Catholic church and an adjacent Catholic kindergarten, located at a safe elevation, sheltered survivors and volunteers. A makeshift morgue in a park held bodies until they could be identified and cremated. The November quake triggered a brief nuclear drama when the operator of the Fukushima No. 2 nuclear plant reported the failure of a cooling unit for hundreds of used fuel rods. In 2011, loss of power to cooling systems at sister unit, the Fukushima No. 1 plant, led to explosions and three reactor meltdowns, and the radioactive contamination of swaths of land. The Catholic Church in Japan is a vocal critic of nuclear power. After the 2011 catastrophe, the Catholic Bishops’ Conference of Japan demanded that the nation pull the plug on nuclear power and dismantle its 50 or so operable reactors. The bishops said people had disregarded the wisdom to know their own limits, and that the disaster showed nuclear safety was a myth. In 2011, around 150,000 residents fled their homes in evacuations or in fear of contamination, and there were widespread anti-nuclear protests. While the protests have now petered out, anti-nuclear sentiment remains evident in polls and local election results. In October, voters in Niigata prefecture, which hosts the world’s largest atomic plant by output, picked a staunch nuclear opponent for governor. In November, the bishops issued a new appeal, urging international solidarity over the long-term “harm” caused by nuclear power and the damage it may inflict on human dignity. The conference urged bishops in other countries to unite in opposition to nuclear power, saying it believes the church in Korea is already on side. As 2016 draws to a close, most reactors remain shut down, but the government is pushing hard to reactivate them and reduce Japan’s reliance on imported oil and gas. It is supported in this by industrial lobbies, and voices like that of the church are not widely heard. Only about 0.5 percent of the population is Catholic. “Generally speaking, the Catholic bishops in Japan have about as much influence as the Hare Krishnas have in Ireland,” Maryknoll Father William Grimm, a Tokyo-based missionary, told CNS. “I don’t think the bishops here expect to shape policy but, unlike the usual messages from bishops’ conferences, this (November) one is directed toward the whole world. The Japanese bishops call upon bishops in countries that use nuclear power to take up the issue in their own countries, where Catholic bishops might actually have some influence,” Father Grimm said.